Born as Camilla Belle Routh on October 2, 1986, in Los Angeles, California, the actress is the daughter of Cristina Gould and Jack Wesley Routh. She was reportedly named after a Brazilian soap opera character, Camila in Cavalo de Aço. Her mother is a fashion designer while her father, a former country music composer, owns a construction company. Camilla is of mixed ethnicity. Her mother is from Brazil and also has Portuguese and Italian ancestry whereas her father hails from Kingman in Kansas and also has roots in German and French cultures. Raised in the Catholic faith, Camilla attended the Católica Elementary School of São Paulo and later, the Marlborough School in Los Angeles. As a child, she spent seasons in Santos, Brazil, her mother’s place of birth and this explains why she speaks Portuguese fluently. Even though she is now based in Los Angeles, she is still particularly drawn to her mother’s hometown as she has spent most of her holidays there. The talented actress made her professional debut in a print ad as a nine-month-old baby and when she was just five, she landed a lead role in her first film, Trapped Beneath the Earth. In 1995, Camilla was cast for a small role in the film version of the novel, A Little Princess. Two years later, she played Cathy Bowman in the 1997 science fiction adventure film, The Lost World: Jurassic Park. The following year, she featured on the Family radio drama, Adventures in Odyssey, playing the role of Aubrey Shepard. She featured in the action film, The Patriot, as Steven Seagal‘s daughter and her performance in the film Practical Magic (1998), earned her a Youth in Film Young Artist Award nomination in 1999. She was also nominated the same year for her guest appearance on the action crime TV series, Walker: Texas Ranger. Still in 1999, the talented Camilla was cast in the telefilm Replacing Dad which earned her her third Young Artist Award nomination. She was nominated for the award a fourth time based on her first lead role as Sydney Miller in the Disney Channel TV Movie, Rip Girls (2000). In 2001, Camilla Belle also took the lead role in the TV film, Back to the Secret Garden and afterward, decided to take some time off from acting. She returned with a bang in 2005 and played a role in the independent film, The Quiet. In 2006, she played a major role in the remake of the horror film, When a Stranger Calls and had another lead role in the Warner Bros movie, 10,000 BC. The film is, till today, the biggest box office hit. 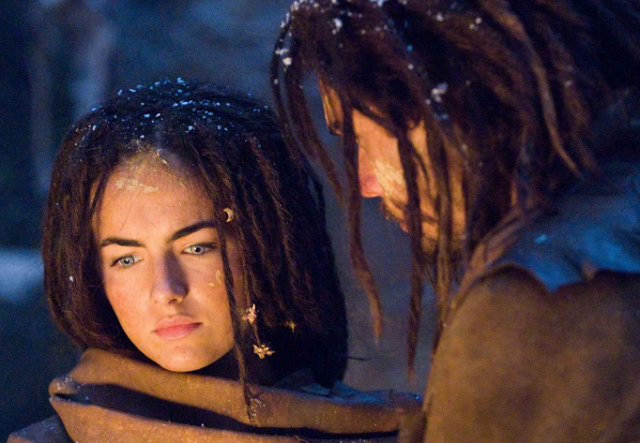 Since 10,000 BC, Camilla Belle has acted a number of major roles in not-so-popular and unreleased films. It appears she has jetted off the scene again as her last film was a student project, The Mad Whale (2017). The Brazilian-American actress is said to have a net worth of about $2.5 million. She amassed this amount of money from movies and other personal ventures she is involved in. She was paid $524,476 for the movie Of Corset’s Mine, $426,136 for Amapola and $324,675 for Zero Hour. She also received $243,506 for the movie Bumped, $207,871 for Open Road and $1,916,059 for Bangkok Love Story. Besides acting, Camilla also makes money from her Construction Company and Fashion House in addition to endorsements from several organizations and fashion brands such as Vera Wang. See Also: Linda Kozlowski Age, Bio, Net Worth, Family, Where Is She Now? Husband or Boyfriend, Is She Dating or Married? Camilla Belle is still unmarried but has been in a series of relationships which ended in a break-up. There were rumors in 2006 that The Quiet star was dating English actor, Tom Sturridge. This was fuelled by pictures of the pair out together sharing precious moments. However, neither of then ever confirmed or denied the speculations. By 2008, it was reported that the duo had gone their separate ways. Later in 2008, Camilla found love again. She started dating American musician, Joe Jonas and they were spotted many times looking very much in love. Their relationship was said to have started after Camilla Belle appeared in the Jonas Brothers Lovebug music video but it only lasted for one year. For some unknown reasons, they called it quits on July 27, 2009, with a promise to remain good friends. The actress also went on a day date at Brentwood Country Mart with American actor, Topher Grace but no relationship grew from it. Presently, Topher is happily married to actress Ashley Hinshaw. She dated star footballer Tim Tebow in 2012 and after the relationship which lasted several months ended, she got involved with Chad Michael Murray in 2013. Sadly, the duo also split. Their break-up was followed by rumors that Camilla had a fling with Enrique Iglesias. Following her series of ‘failed’ relationships, Camilla Belle seems to have decided to keep her love life away from the limelight. These days, she maintains a low profile and avoids talking about her relationships and affairs.